washes my deluded expectations clean. (oh, and you know what? and who I used to be. all the lost ones, left searching. and of death, leaving no mark. 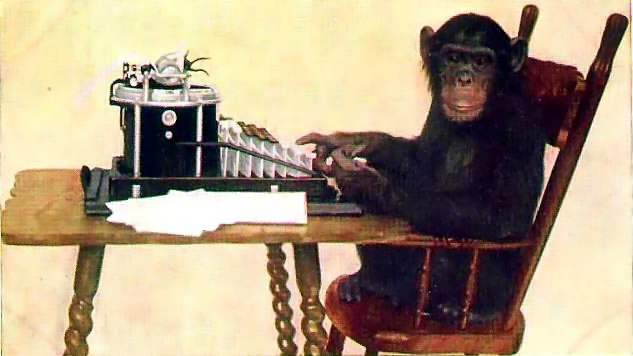 What is the infinite monkey theorem? It states that a monkey hitting keys at random on a typewriter keyboard for an infinite number of times will almost surely be able to type a given text, such as the complete works of William Shakespeare. In light of this, I am left to question: why do I write?